Keep an eye on this silver boy! The Alpaca is one of four New World Camelids, consisting of the Guanaco, Llama, Alpaca and Vicuna. 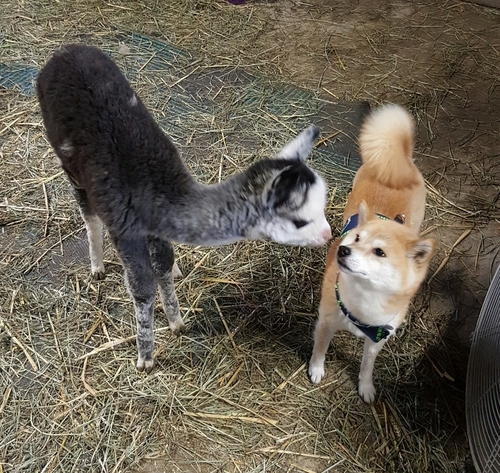 Alpacas are generally compared to the llama; however, they are half the size of a llama and, unlike a llama, are raised primarily for their fiber. Alpacas were a cherished treasure of the ancient Incan civilization and played a central role in the Incan culture that was located on the high Andean Plateau and mountains of South America. Alpacas have been domesticated for more than 5,000 years and their fleece was cherished by members of the Incan civilization (referred to as "The fiber of the Gods"). Outside of their native South America, the number of alpacas found in other countries is limited. 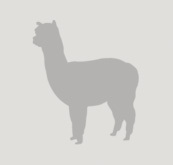 In fact, 99% of the world’s approximately 3 million alpacas are found in Peru, Bolivia and Chili. Presently, the alpaca provides the main means of sustenance for thousands of families in the high Andes. Peru is currently the only major world producer of alpaca fiber, with a national herd of roughly 3 million animals producing almost 90% of the world's alpaca fiber. Shearing the animals and selling their fiber every year provides these families with their principal income. There are two varieties of the alpaca: the Huacaya (pronounced wuh-kai-ya) and the Suri. The Huacaya is the more common type in the highlands. It has relatively short fiber which is dense, curly and voluminous. The Suri has long, straight hair which is silky and exceptionally lustrous. Alpacas produce one of the world's finest and most luxurious natural fibers. They are scarce, unique, and the textiles produced from their fleeces are known in the fashion centers of New York, Paris, Milan, and Tokyo. It is clipped from the animal without causing it injury. Soft as cashmere and warmer, lighter and stronger than wool, it comes in more colors than any other fiber producing animal (approximately 22 basic colors with many variations and blends). This cashmere-like fleece, once reserved for Incan royalty, is now enjoyed by spinners and weavers around the world. 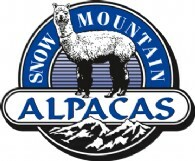 Alpaca owners enjoy a strong and active national organization. The Alpaca Owners Association (AOA) with a growing number of Regional Affiliates and AOA sanctioned national committees addressing every aspect of the industry. The Alpaca Fiber Cooperative of North America (AFCNA) accepts fleece from its members, and turns the precious textile into quality alpaca garments and products. Members benefit from a ready outlet for their fiber, while the cooperative works to increase awareness of and demand for this everyday luxury. The Alpaca Registry (“ARI”) has been established to help ensure accurate records and has a state-of-the-art system to document bloodlines. Alpacas must be blood typed in order to be registered. Virtually every alpaca in the U.S. is registered with the ARI. Reproduction... Female alpacas are first bred from 14 - 18 months at which time they are called "hembras". Female alpacas are induced ovulators. They do not have a heat cycle so they can be bred anytime. They are capable of producing one offspring a year for as many as 20 years. The new alpaca mothers are often rebred 2-3 weeks after giving birth. Male alpacas reach breeding age at about 3 years, at which time they are called "machos." Fiber...Alpaca fiber is softer than merino and has a higher tensile strength than sheep’s wool, creating a far more durable garment. There is a lucrative niche market for this luxurious, resilient fiber both at the local level and on the international export scene. Color... Alpacas come in a myriad of natural colors; pure white, the most delicate fawns through to grey tones, from the lightest silver to a warm rose grey, and a jet black. There are 22 recognized alpaca colors, but the fleece also has the additional advantage of being readily dyed. Health... Because alpacas and their ancestors are especially suited to the harsh environment of their Andean homeland, alpacas are generally healthy, easy to care for and remarkably disease free. Generally... They are gentle and easy to handle. Alpacas don't have incisors, horns, hooves or claws. Clean-up is easy since alpacas deposit droppings in only a few places in the paddock. It has better wrinkle resistance than that of cashmere and is stronger. Alpaca is full of natural luster. Cashmere loses its luster after a couple of years while alpaca retains it for decades. Alpacas have coexisted with humankind for thousands of years. The Incan civilization of the Andes Mountains in Peru elevated the alpaca to a central place in their society. The imperial Incas clothed themselves in garments made from alpaca and many of their religious ceremonies involved the animal. Museums throughout the Americas display textiles made from alpaca fiber. The Spanish conquistadors failed to see the value of alpaca fiber, preferring the merino sheep of their native Spain. For a time, alpaca fiber was a well-kept secret. In the middle 1800's, Sir Titus Salt of Saltaire, England rediscovered alpaca. The newly industrialized English textile industry was at its zenith when Sir Titus began studying the unique properties of alpaca fleece. He discovered, for instance, that alpaca fiber was stronger than sheep's wool and that its strength did not diminish with fineness of staple. The alpaca textiles he fashioned from the raw fleece were soft, lustrous, and they soon began making their mark across Europe. Today, the center of the alpaca textile industry is in Arequipa, Peru; yarn and other products made from alpaca are sold primarily in Japan and Europe. The goal of achieving a sustainable planet, one that will accommodate the basic needs of its present inhabitants while preserving the resources that will enable future generations to flourish, has gained increasing acceptance. Although certainly not mainstream at this point, sustainable agriculture is now being addressed by the agricultural community in significant ways. enhance the quality of life for farmers and society as a whole." Alpaca fleece is fiber, similar to sheep's wool in some respects, but lighter in weight, silkier to the touch, some believe warmer (although this is not scientifically proven), not prickly, and bears minimal lanolin which makes it nearly hypoallergenic. It is also soft and luxurious. Alpaca fiber is a soft, lightweight, lustrous fiber, second only to silk for strength, comparable to cashmere for luxury and more durable than both. Alpacas were first imported to the United States in 1984 and imports continued until 1998. In an effort to maintain the value of the alpacas in the United States, The Alpaca Registry, Inc. (“ARI”) was established in 1995 and manages a database housing pedigree and parentage information for registered alpacas. 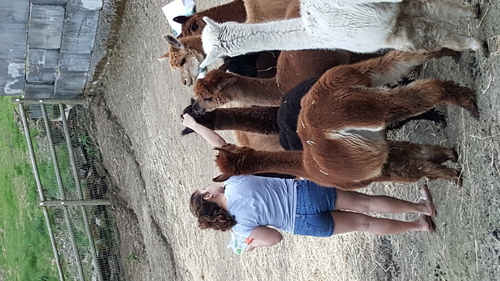 ARI is the only organization of its kind in the United States, but also registers alpacas in Canada and other countries throughout the world. ARI is currently a closed registry, meaning that every alpaca registered must be DNA tested and qualified as an offspring of two other ARI registered parents. In 1998, the ARI membership voted to close the Registry to outside imports. This means that only alpacas that can be DNA tested and validated as the offspring of two ARI registered parents will be registered. At present the number of alpacas in the United States is about 145,000. As previously stated, the world’s population of alpacas is in the range of 3 million animals. The scarcity of alpacas is based on their slow rate of reproduction. Usually females give birth to one baby at a time with a gestation period of 11.5 months. Because of this slow reproductive rate, it will take a long time to drive the price of breeding stock down and top animals will always bring high dollars. The alpaca industry has been steadily growing, as evidenced by the ARI registrations. Registrations in the past 10 years have grown 500%. There are a few large ranches with over 500 alpacas, small ranches of only two or three alpacas, and everything in between. The average alpaca herd consists of about six to twenty alpacas. Most herds start out small and grow to the size that fits the breeder's ranch and financial goals. Almost all breeders are in business for the long haul; they believe in the future of the industry. With the relatively small number of alpacas currently available, there will be an extended and steady demand for breeding stock to continue meeting the needs of this growing industry for many years. Slow economic times are a good opportunity to purchase additional alpacas at bottom dollar as there are those persons who will panic and not be willing to wait out the decline. However, a decline in the national markets also causes individuals to re-evaluate their investments and to look to other means for retaining and gaining income. “Raising alpacas can offer an individual some very attractive tax advantages. In 2003 those benefits increased due to the "Jobs and Growth Tax Relief Reconciliation Act of 2003." which was enacted into law on May 28, 2003. Among other things, it allows small-business owners to write off 100% of newly acquired assets in the first year, rather than depreciate them over several years. It was amended for the 2008 tax year. The new rules added several powerful incentives for people who buy alpacas. The IRS Section 179 deduction has been raised to $500,000, and it is available indefinitely. In addition, for 2015 through 2020 only, special bonus depreciation is available. For farms making large capital investments in 2016, this offers a huge benefit. If alpacas are raised for profit, all the expenses attributable to the endeavor can be written off against your income. Expenses would include not only feed, fertilizer, veterinarian care, etc., but depreciation of such tangible property as breeding stock, barns and fences, all of which can help shelter current cash flow from tax. Beyond these basics there are several strategic tax advantages for the alpaca farmer. The fact is that Uncle Sam will pay for a portion of the cost of acquiring your herd, assuming you are currently paying income tax and plan to continue paying income tax over the next six years. You can write 100% of your original purchase price off, up to a maximum of $500,000, in the year of purchase. If you are in the 45% tax bracket (combined federal, state and self-employment tax rates), the deductions for depreciation that the animals are eligible for may save you up to 45% in cash, of your original purchase price. Unlike a stock portfolio, you can insure the alpacas against theft, mortality or loss for approximately 3.3% of the value of the animal. With the current tax advantages available, the passage of the Farm Act, the insurability, and the ability to enjoy your investment in your own backyard, it is increasingly attractive to new alpaca purchasers. As a rule, alpacas are gentle and easy to handle. Alpacas can be moved around the farm with ease, and are easily trained to a halter. Alpacas can be easily transported long distances in vans, trailers or trucks. Alpacas rarely kick or spit unless extremely provoked. Being affectionate animals, alpacas are safe and calm around children. Alpacas are modified ruminants. They chew cud like a cow. 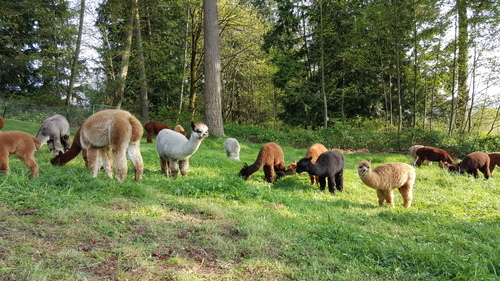 Alpacas like to graze on grass and browse on weeds, leaves and shrubs. Alpacas should be given free-choice mineral salt. Supplementary may be required in winter and to females in the later stages of pregnancy. Alpacas communicate with a series of ear, body and tail postures. 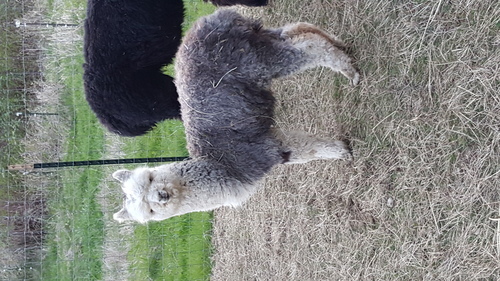 Females make soft humming sounds to their cria. Alpacas also can emit a shrill alarm sound if threatened. Alpacas may occasionally cluck with their tongue. Male alpacas make a unique sound, called orgling, when they mate. Uses include breeding stock, fiber production, companion animals, pet therapy and meat production. Alpacas are the easiest to care for of all livestock. Alpacas are clean (they share a communal dung pile), quiet, odor free, and possess a gorgeous, highly desired fleece.